The awareness of Home Staging in the Houston area continues to grow among Real Estate Investors, Builders, & Realtors. No doubt by now if you have worked in or encountered the Houston Real Estate market at all you have seen many photos, videos and maybe even toured several homes that are staged. Many have already reaped the rewards of home staging their property by receiving at or over listing price, a quick sale or have even encountered bidding wars. Home staging is no longer considered a luxury, but rather essential to the real estate selling process. Great home staging is essential to a selling your property for the most amount of money in the shortest amount of time. However, there are a couple areas to be aware of when staging your property: Over and Under staging. The problem with over-staging is this: All the fuss of home decor and furnishings over-stated in a space will cause your potential buyers to pay more attention to the decor than to the home. This can be very distracting and can literally turn a potential buyer’s focus on to the decor rather than the home. The space should have the perfect splash of color, charm, and lifestyle image, and should be executed with a minimalistic approach that keeps the focus primarily on the home. It should “point to and compliment” the home’s greatest features. It should never “outshine” the home but rather “show off” it’s greatest features. An experienced home stager will know how to present a space in it’s best functionality with the perfect balance of furnishing and accessorizing. Under staging is when there are too little furnishings or accessories to compliement a space or even a lack of creativity. For example, a plant, or a tree, sad and all alone, in the corner of the room like he’s in “time out”. Single items seemingly tossed in a corner never really accomplish staging but rather, is stated with creative layers and groupings or “vignettes”. A space requiring definition should never be left undefined. Staging is essential to defining an odd shaped living area or any space that may leave a potential buyer wondering what the function of a space will be. With the trending “open concept” that many buyers desire in today’s market, it requires tearing down of walls and opening up a space and can leave an odd shape to a room. This is where a home stager will come in and define how the new space can be utilized and leave no doubt for buyers when they are determining how they will arrange the space once they move in. It allows them to “mentally move in”. Another example of under staging can be the unbalanced look of a long wall with high ceilings adorned with a piece of wall art thats too small and looks “lost” in a land of the giants. This creates an unbalanced look to the room and may leave a potential buyer once again feeling distracted from the homes greatest potential which would be to compliement the tall ceilings suitable “weightier” wall art. Home staging should be creative and should always make a potential buyer feel like they can see themselves living in that space. Having the perfect balance of home staging is not a mystery to an experienced home stager. It should always be comparable to the area market. Over staging a cookie-cutter home with a high-end luxury look and vise versa can be intimidating or confusing to potential buyers and should be avoided as well. 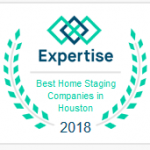 Always ask to view your Houston home stager’s portfolio and references to ensure you are hiring an experienced home stager. For more information on home staging in the Houston area contact Rhonda at 832-301-5696. 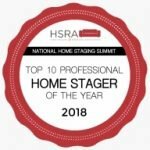 Remember friends don’t let friends sell with out staging! 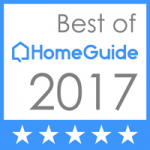 The fine gentlemen at InvestHomePro did not hesitate to have their reno property professionally staged by a professional home stager. Check out this video of their recent renovation in the Houston Heights and be sure to like and subscribe to receive more upcoming Home Staging Tutorials from Home Staging For Houston.